Lot Washing | Shamerrific Shine – KANSAS CITY’S PREMIERE AUTO DETAILING SOLUTION! We have patented cleaning technology developed specifically for dealerships to make vehicles look amazing, all while abiding by local city water ordinances. 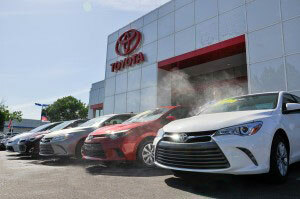 We are the only company that has legally cleaned over 1.5 million vehicles with only water! 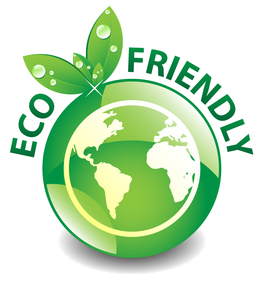 Dealerships choose to work with us because we do not use any illegal polymers, soaps or chemicals – just water! Other lot washing competitors use trucks and tanks filled with polymers, soaps and chemicals, which are illegal (under the Clean Water Act), and fines are approximately $2,000 per incident. We do not block your aisle with huge vehicles or equipment. Our “cloud” system is small so customers stay focused on your inventory, sales people and the ease of driving through the lot to see inventory. Our onsite detailing vans are fully equipped with everything needed to clean your inventory. We are a fully insured and credible company with a tested, patented cleaning technology. Being experts with patented products means that we never scratch or leave streaks on vehicles, plus our patented products are more efficient than our competitors so we’re on your lot for less time. The Difference Is Our Patented Cleaning Technology!